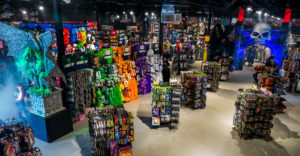 Halloween will be here before you know it and it’s not the endless candy that has us excited. Costume season is here! 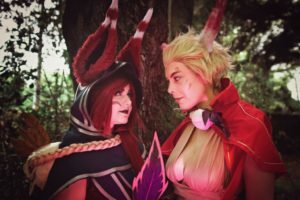 Whether you’re boo’d up (pun intended) or want to partner up with a friend, we found some of the best and most creative couples Halloween costume ideas to ignite inspiration. Season 2 of the hit HBO series may have left us with more questions than answers, but it’s this modern day Bonnie and Clyde we can’t get out of our heads. 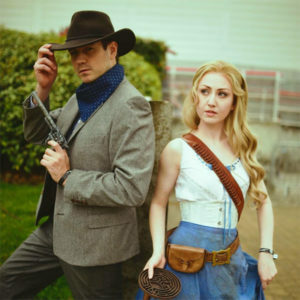 Dolores and Teddy are our choice for West World’s best costumed couple. Jinkies! Thelma and Daphne’s funky 70s fashion will definitely be a hit at your next costume party. 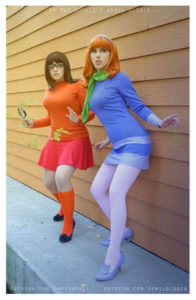 Instagram cosplayers @ohmysophii and @_aprilgloria nailed the fearless femme duo of Scooby-Doo. Monsters, ghouls and goblins don’t have a chance against these ladies. 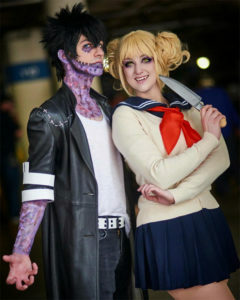 My Hero Academia offers infinite costume inspo, but it’s @brookeisabee’s take on Toga with @blackoutcosplay as Dabi that has our heads turning. This league of villains is definitely up to more tricks than treats – turn off your porch lights and lock your doors if you see this duo headed down your street. 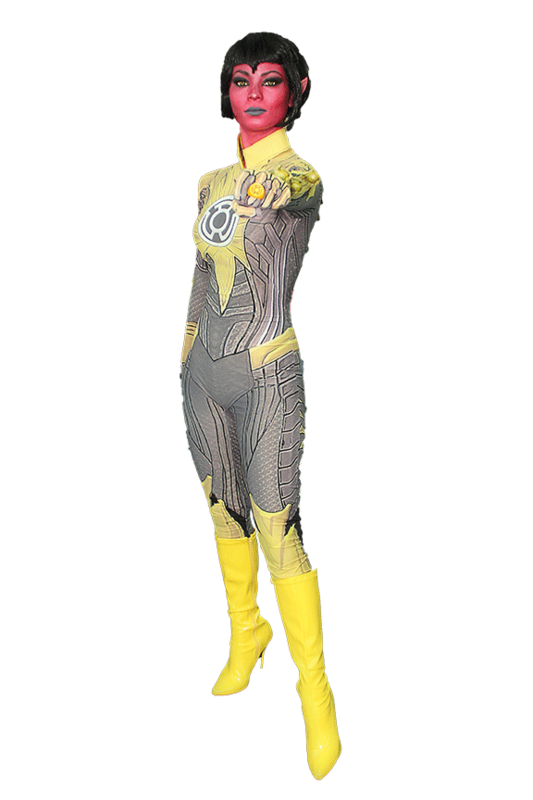 Upload your own photo and try these costumes on in our virtual dressing room! We couldn’t have a list of costumes in 2018 without including Black Panther. When it comes down to selecting your couples Halloween costume, any of the mighty Wakanda warriors are winners in our book. 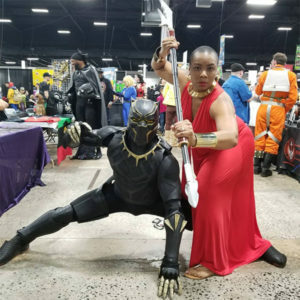 @PhillyBlackPanther showed us how it’s done, posing with an Okoye cosplayer at the Philadelphia Comic-Con earlier this year. 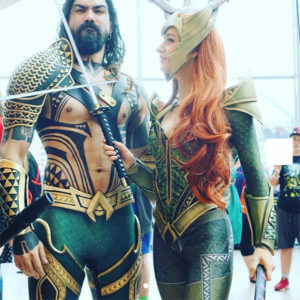 The Aquaman movie won’t be released until December of this year, so be ahead of the curve (or should we say, “wave?”) and costume yourself as the irresistible underwater super couple, Aquaman and Mera. Coco’s Ernesto de la Cruz and Mama Imelda are a no-brainer. Dia de los Muertos, the annual Mexican holiday that celebrates loved ones who have passed, coincides with Halloween and All Saints Day. These joyful and vibrant Dia de los Muertos costumes will put a smile on everyone’s face. 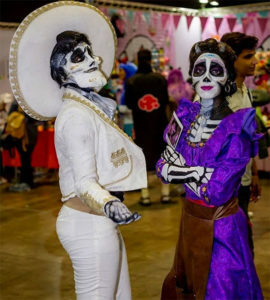 Find Coco costumes here. 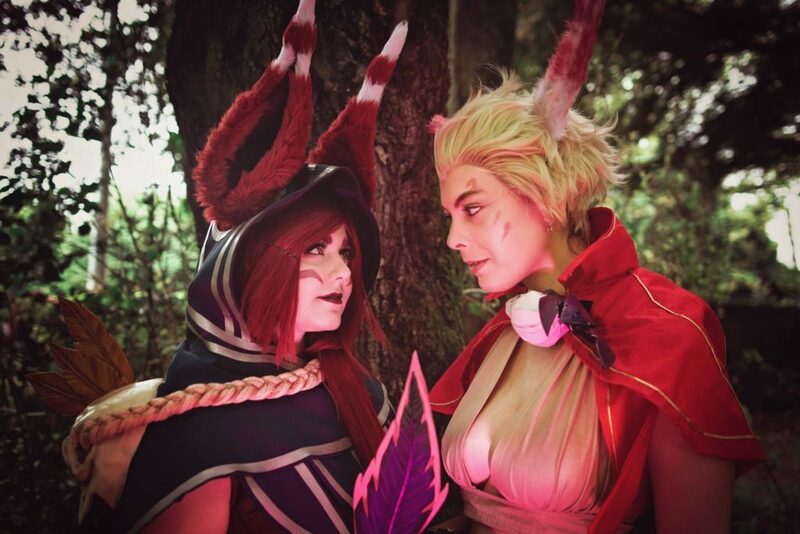 Cosplayer friends Gabbu and Kitasai jumped at the opportunity to collaborate after Xayah and Rakan were declared Legend of Legends champions. You and your partner are destined legends when you dress up as this magical couple. 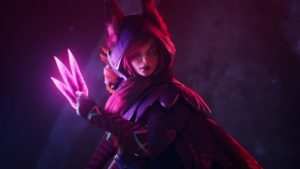 Check out our costume profile for Xayah! 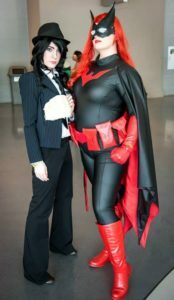 Batwoman and her love interest, The Question, will make their debut on the CW’s hit show Arrow just in time for Halloween. You and your partner are sure to make an impact if you choose to dress up as this au courant femme fatale couple. We hope our compilation of couples Halloween costume ideas will inspire you to think out-of-the-box and take your Halloween to the next level. Let us know your creative couples Halloween costume ideas in the comments!